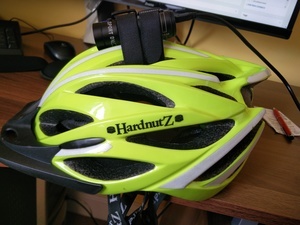 I’ve started cycling to work regularly again, and got myself a helmet camera. This is one of those annoying areas where there are cheap items made in the far east, or very expensive items made by more recognised brands. There doesn’t seem to be anything in between. As you can see, the only part of their fixing accessories I used were two velcro straps; the camera feels most stable and doesn’t un-balance me when it’s strapped tightly to the middle of my helmet. I had no idea I moved my head so much when cycling, but it’s not bad quality – certainly good enough to get a number plate in the unpleasant event of someone cutting me up or knocking me off. I might try it on the handlebars next. Needless to say, the camera does not claim to have any night vision at this price, but on lit streets, it’s possible to make out registration numbers of most overtaking cars if you step through the footage frame by frame. Configuring it involves a txt file which it writes to the SD card, but once you’ve set the date and time, there’s not much else to worry about. The battery doesn’t last very long, but it only takes a couple of hours to charge over USB, so not bad. The inbuilt microphone just picks up wind noise when any sort of motion is involved. Obviously, the Â£40 cost of the camera is then bolstered by buying the biggest micro SD card you can afford. At 90MB per minute of footage, it soon fills up. The way it records in chunks (maximum 10 minutes each) is a bit silly, but there are plenty of tools on Linux to concatenate the chunks together again. This entry was posted in Life on April 22, 2017 by David North. 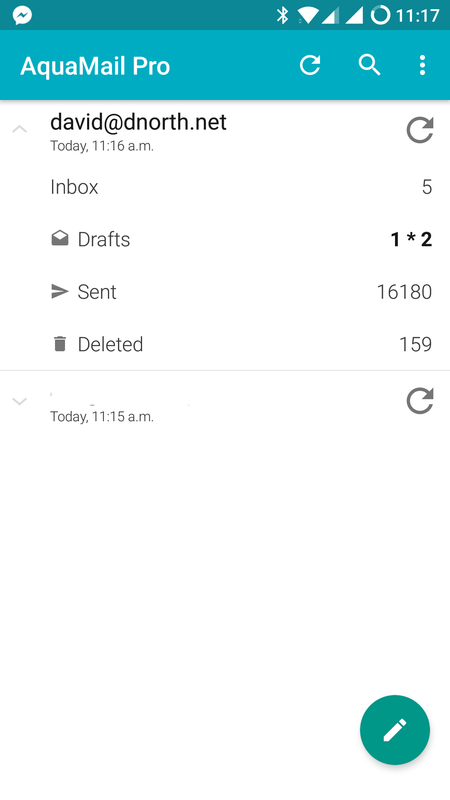 I’ve been a long-time user of K-9 mail on Android, but the combination of the dreaded doze (“syncing disabled”) bug and various bits of clunky UI persuaded me it was time to move on. AquaMail, on first impressions, is rather nice. It lets me set the Archive folder, and can Archive things in a couple of taps. It also has a better approach to folder management, not showing the entire list in most places, but rather the folders you’ve actually used. Well worth a few quid for the pro version. This entry was posted in Life on April 14, 2017 by David North.